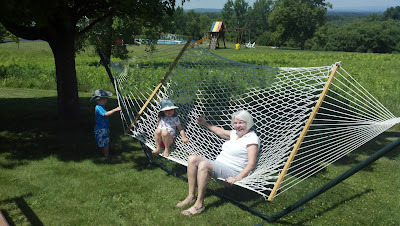 We had a wonderful weekend at Grandpa and Nana Sheila's NY house. It is so quiet and peaceful with LOTS of room for the kids to run around and of course play baseball. Hiking, delicious meals and strawberry picking finished off the visit. Had a fun time golfing in NY with Grandpa! Rich looks like a natural, no? Check out that form and the picture he drew when we got home. We were also lucky enough to see our Saratoga friends the Blanco's. Rich and Vanessa think they are hot stuff on the golf course. An impromptu weekday trip to the beach. We are very thankful for friends who have gorgeous houses on the ocean that they let us use. 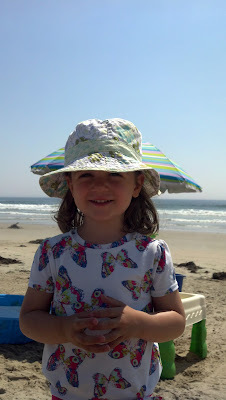 Now that the kids are older a trip to the beach is so much easier and the favorite place to be in the summer. We spent MANY days there this summer and hope this is a new summer tradition. My kids could be out there until the sun sets (and then they sleep like a log!!). Nothing better than the dog days of summer! On the LAST week of school Rich had Monday off because of some ridiculous made up Massachusetts holiday!! UGH for the working Mom. 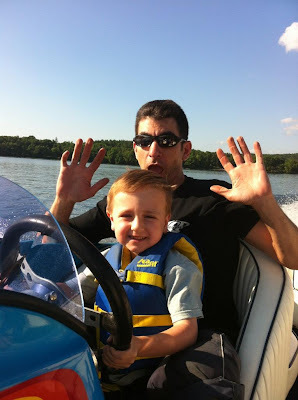 Luckily we have amazing new friends so Richie got to spend the day with his friends Natalia and JoJo at their lake house in Westford. These pictures tell the story of how much fun he had. Plus the trampoline, pool, ice cream and much more. Again, my kids are some of the luckiest out there! After an extra fun weekend at Colton's the kids were off to Aunt Erin and Uncle Matt's house. These pictures basically explain themselves, and show the kids doing ALL of the things they LOVE. Beach, mini golf, playground, etc....great day! Not sure they wanted us to come home. There is nothing better than good friends....especially ones that watch your kids for the weekend!! We are forever thankful to Kelley and Nick for taking Rich and Angela (and Regina!) so we could go away. It was actually a vacation for all of us because my kids had a blast! Picnics, ice cream, sports, movies, shopping (Angela came home with a new wardrobe)....what is there not to like? You can see they are such good friends that they slept 3 across Colton's bed. Nothing sweeter than Colton accepting Angela as well (doesn't treat her like a little girl which she HATES) and Nick playing baseball with Rich for HOURS. Thanks for the best anniversary present! AMAZING 10th anniversary trip to York Maine at the Cliff House. You can see the cliffs we climbed down (and took way too many pictures of!) and the view from our room. I had never been in an infinity pool before! A special thanks to Kelley/Nick and Erin/Matt for watching our kids all weekend so we could do this. 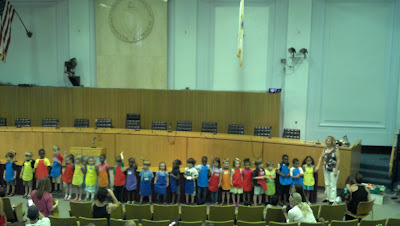 Richie's school had an end of year Celebration of Learning that they held at the State House! We are so lucky to get to get the use of such important places. Each class had an act and because of their restaurant the K1 kids did On Top of Spaghetti. Hysterical! Richie is ridiculously lucky because his school goes on SO many field trips. This one looked too fun to pass up so I actually took a vacation day from work to go with them. 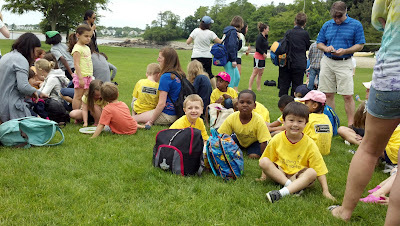 We went to Lynch Park in Beverly along with the rest of the Eliot. 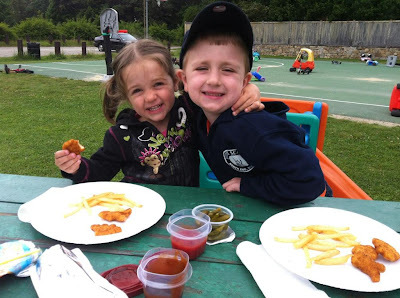 Picnic lunch, a huge playground and digging for animals and shells....what more can you ask for in a day?!?! And I loved to see Rich interact with his school friends who he just adores! The last picture is my favorite because it was taken by Traci Griffith who is Rich's principal. She took pictures of a bunch of the kids and then texted them to the parents who couldn't make the trip. She is an amazing person! Today we spent this beautiful summer day down on the Esplanade. We initially went down to check out this Hill House (Richie's summer camp) fundraiser although I didn't have high hopes. Supposedly Darnell McDonald from the Red Sox was going to be there and it is at this beautiful park so why not. Well it was awesome! We were some of the only kids there so we had ALL of Darnell's attention. You can see below how he hung out with both of my kids and gave them some batting practice. He signed Richie's baseball hat and quite a few other things. Yep...I still LOVE living in the city and LOVE the Esplanade!